An HR dashboard example is prepared for users to download and reuse. Learn about the advanced features about HR dashboard maker. 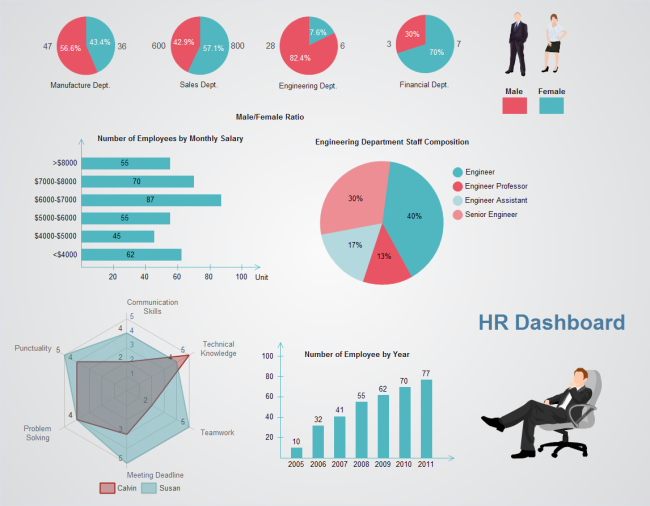 This HR dashboard is created using pie chart, column chart and bar chart to illustrate the employee increasing trend, salary range, employee distribution and gender ratio. 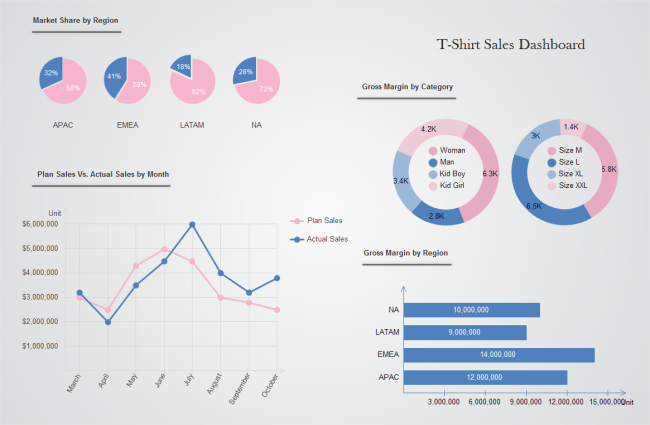 Through Edraw dashboard maker, you can save a lot of time making presentation quality dashboards. 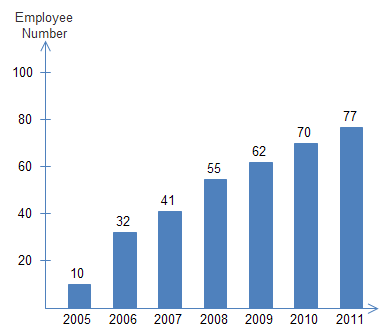 This column chart is used to display the number of employee by year, so as to see the overall increasing trend. 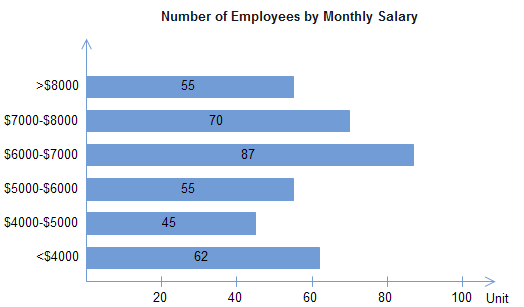 This bar chart is used to observe employee salary range. 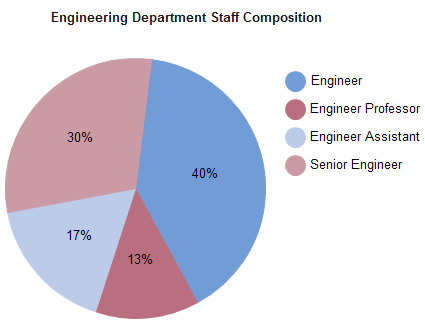 Pie chart is a common tool in HR Dashboard to present a comprehensive view of the proportions each part takes. Its interface closely resembles Microsoft program, thus very easy to use. 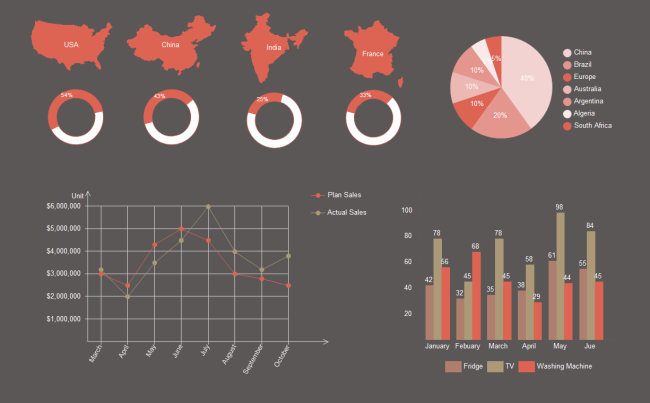 Coming with extensive chart and graph templates, including bar chart, column chart, pie chart, doughnut chart, gauges chart, line chart, etc. Many charts have smart behaviors, which greatly simplify your work. For example, by using the floating action button on the column chart, you can one click add a category, set max value, set series number, set tick number, etc. It supports data import. 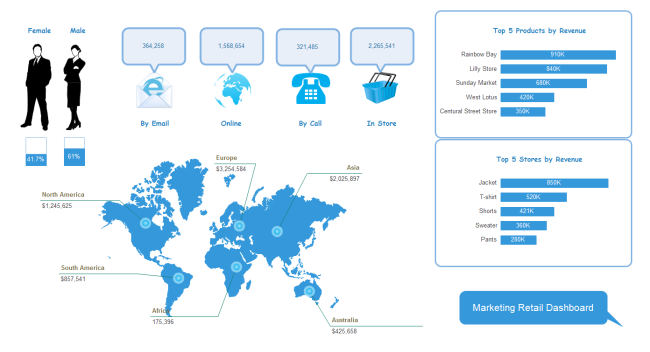 By saving the sales data in a file following a certain format, and importing the file to the software, you can generate a chart (pie, column, bar, scatter, gauges, spider, line, area) instantly. A set of nice looking themes with advanced effects make it easy to change the whole diagram theme. Download a free trial and see how quickly and easily to create great-looking HR dashboard.